Many books have been written about dreams, visions, planning your future, and being structured in life. Setting goals and how to reach those goals. Writing your five-year plans with daily weekly and monthly strategies that will assure you great success in fulfilling those endeavors. Yes, we need structure to keep us out of chaos. We need to design a road map for success to keep us on track in wher… e we are headed so one will recognize when they have veered off course. When youve reach your level of success and boredom begins to set in, whats next? When the excitement of life begins to wane and your creative flow comes to a halt, whats next? 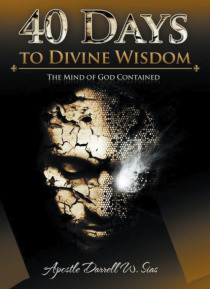 Divine wisdom is next. Real-life existence begins and finishes with living in the realm of our divine nature that produces the divine wisdom created for our existence in the earth. Posture yourselves for an encounter with true spiritual reality and power, your true lineage in life, and an eternal ancestry. Theres always life after . . . with divine wisdom.